This statistic depicts the total production output of lignite in the United States from 1990 to 2017. 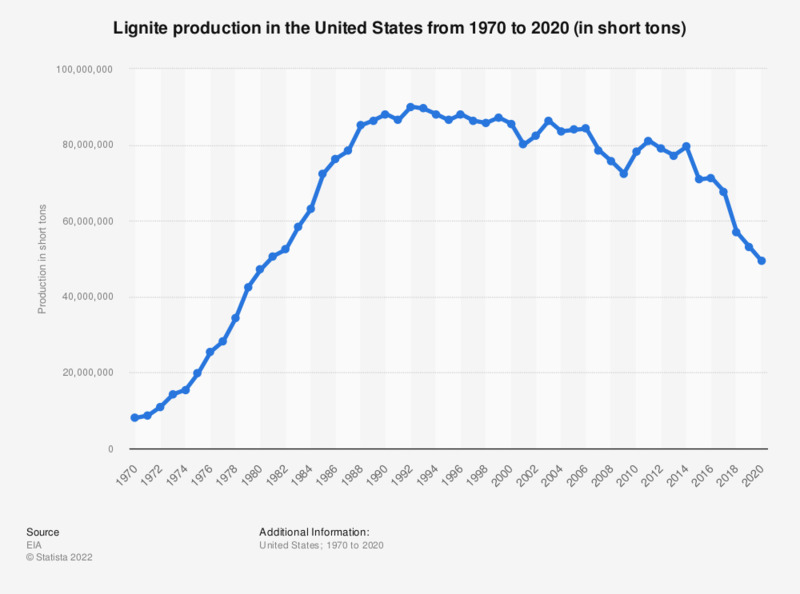 In 1999, the United States produced approximately 77.5 million metric tons of lignite. Since then, lignite production has dropped to an estimated 63.57 million metric tons in 2017. The figure for 2016 has been restated in the 2017 edition of the report.